Our flagship gin is Navigator: First Voyage, a 42% ABV gin hand crafted in small batches utilising 10 botanicals including heather tips from the North Yorkshire moors. 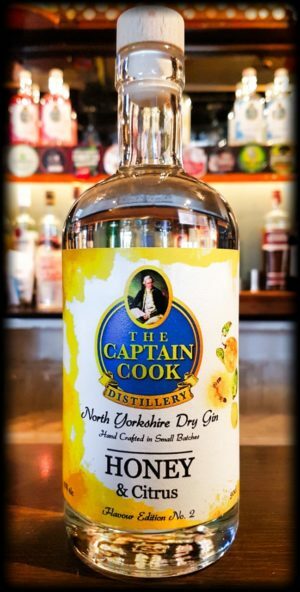 Distilled with local North Yorkshire heather Honey and fresh Lime, Orange and Lemon peel, this is a refreshingly unique 41% gin. The first in our range of flavoured gins, at 40% ABV our Rhubarb Gin is a combination of fruity and fresh hits and classic botanical flavours.